Despite increases in Sustainable Urban Mobility Plan (SUMP) support and knowledge for local authorities in recent years, SUMP take-up has remained relatively slow. There is a requirement for a more systematic understanding of and support for SUMP development and implementation. 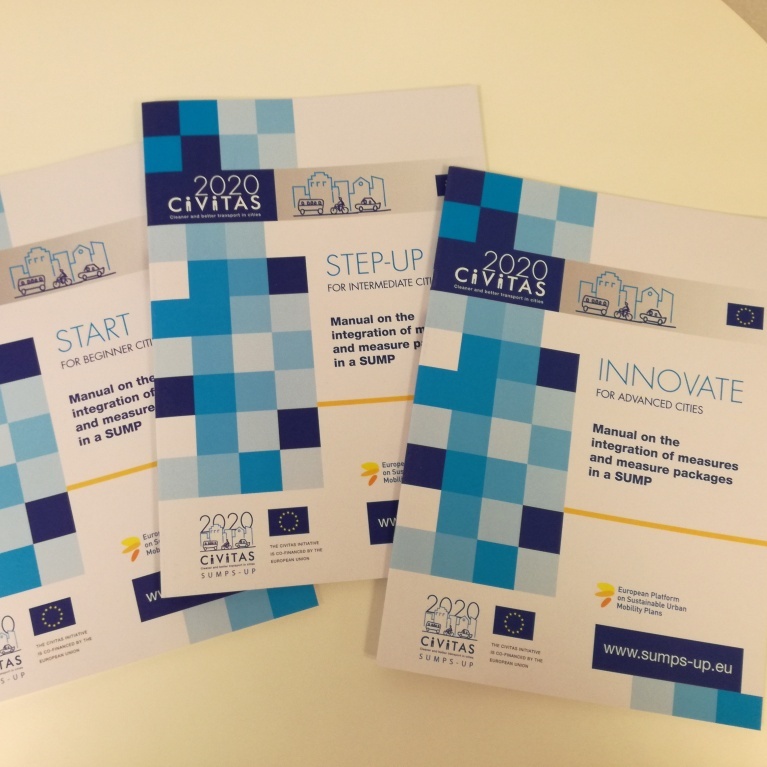 Three manuals from CIVITAS SUMPs-Up (member of the Coordinating Group of the European Platform on SUMPs) help fulfil this need. They provide guidance in a topic crucial to SUMP development - measure selection for and the integration of measure packages into a SUMP. The three documents cover the whole spectrum of SUMP experience, with a manual for beginner, intermediate, and advanced cities respectively, whilst providing recommendations, ratings systems for priorities of measures, and checklists tailored to each city type. Each manual has its own thematic focus. This offers examples and suggestions on conducting measure selection for a first SUMP, possible measures to consider, grading these measures, and gaining approval for their implementation. This gives advice on applying a more systematic approach to measure selection, finding synergies between different measure types and policy areas, and integrating measures from new fields into what has already been done in a city. This focuses on finding ways to cooperate with stakeholders and the public and open up participation, approaches that help realise the implementation of new ideas, and devising strategies to foster innovation and reach beyond the transport sector. Using this information as a basis, cities will develop their ability to create road maps for their own SUMP measure development.